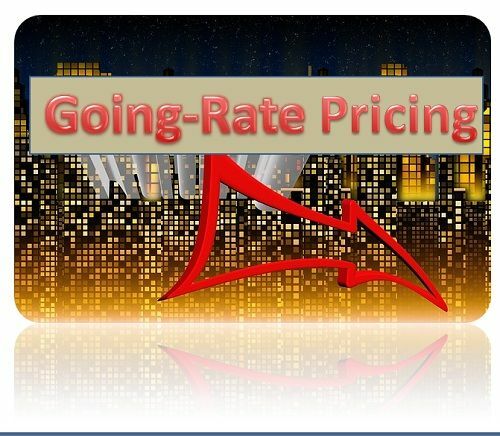 Definition: The Going-Rate Pricing is a method adopted by the firms wherein the product is priced as per the rates prevailing in the market especially on par with the competitors. Basically, the company sets a price of its products and services in line with the competitor’s prices, and may sometimes charge more or less depending on the value, product offers. This type of pricing is mostly followed in Oligopolistic industries where they deal in homogenous goods, and in which less variation is seen from one producer to another. Such products are steel, aluminium, paper, fertilizer, etc., the firms dealing with these usually charge the same price from the customers. Now the question arises, which company must be chosen that decides the price for the entire industry? Normally, the smaller firms “follow the leader”, and change their pricing strategy, according to the leader irrespective of their demand and changed cost. With a going-rate pricing method, companies feel secure as they are sure to get the customers because of the same rates prevailing in the industry. But however, it is difficult to determine the changing trends of the competitor and often it is not possible to match the cost of a product with the price that others are following.